Greater Atlanta Home Builders Association, Inc.
Home | Person Search | Our People | Frank O. Brown Jr.
Frank Brown counsels, litigates, arbitrates, and mediates for developers, general contractors, condominium and homeowner associations, property owners, lenders, investors, and others relating to construction, development, real estate, and loan disputes. His experience includes solving issues pertaining to permitting and governmental regulations, environmental law compliance, contracts and warranties, construction defects, design defects, condemnation, zoning, title issues, title insurance, easements, covenants encroachments and ad valorem taxation. 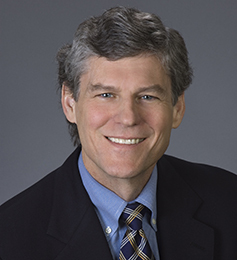 Frank has served as general counsel to the Greater Atlanta Home Builders Association, Inc., Housing Institute, Inc. and HomeAid Atlanta, Inc. for over 25 years. In 2016, Frank was honored with the HBA’s most prestigious award, the Lewis Cenker Award, honoring an individual’s lifetime achievements and contributions to the advancement of the housing industry. Frank was an arbitrator through the American Arbitration Association panel of arbitrators for 13 years. He has arbitrated cases before numerous arbitration organizations. For 15 years, he was an instructor for the Emory Law School Trial Advocacy Program. A prolific writer, Frank is a monthly columnist in Atlanta Building News and a regular contributor to Weissman's Developments in Real Estate newsletter. He also annually authors the Georgia construction law update for the Mercer Law Review. In addition, Frank is a frequent speaker at construction and real estate seminars for lawyers and construction industry members. Frank is admitted to practice in the U.S. Supreme Court and Georgia federal and state courts. He is a member of the State Bar of Georgia and Atlanta Bar Association. He is an active member of the Atlanta Bar Association’s Construction Law Section and a member of the Greater Atlanta Home Builders Association, Inc., Home Builders Association of Georgia, and National Association of Home Builders. He has been deeply involved in community service as a board member and General Counsel for EarthCraft Homes (promotes environmentally-friendly housing), HomeAid Atlanta, Inc. (builds housing for the temporarily homeless), and Certified Professional Home Builder Program (promotes better building). Frank also served on the Atlanta Volunteer Lawyers Foundation (AVLF) Advisory Board (provides volunteer counsel to the poor) and for over 25 years represented the poor in civil disputes through the Atlanta Legal Aid Society, Inc. and AVLF. Frank has also authored extensive seminar summaries of Georgia statutes and cases relating to animal cruelty and its prevention.